Okay – there’s a lot to get through, but it’s VERY exciting stuff! 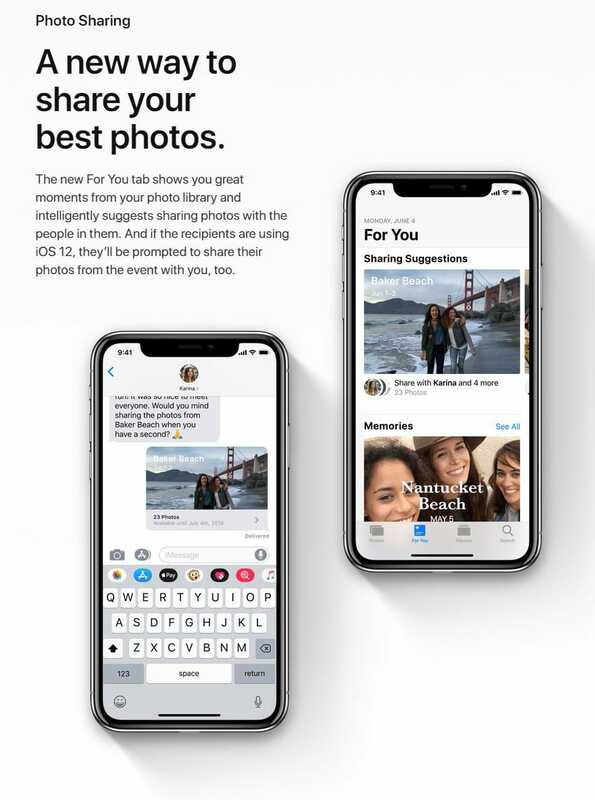 Strap in fellow Apple nerds – here’s some of the new and exciting stuff coming in iOS12. 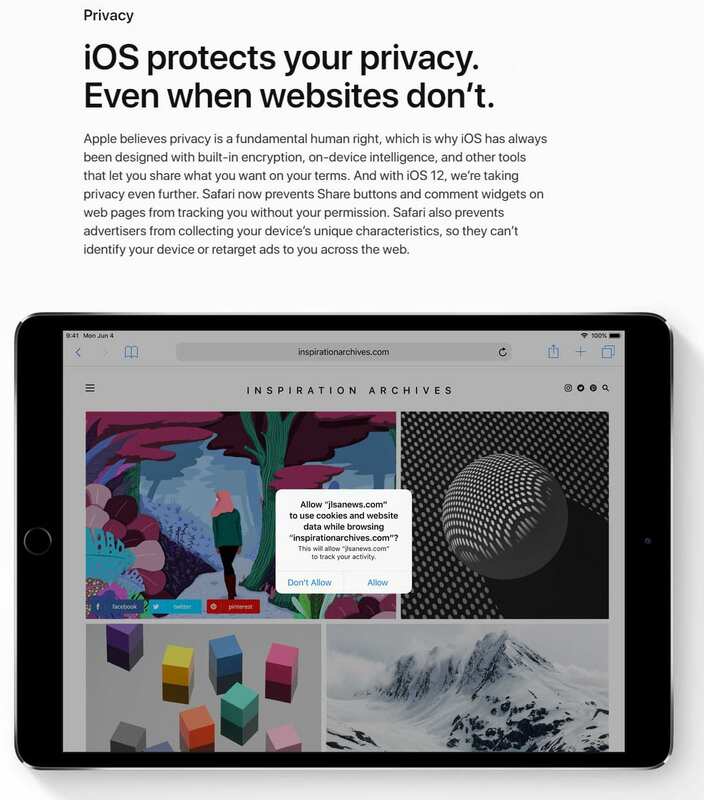 iOS has been enhanced for a faster and more responsive experience all round. Every day things like launching the camera or typing on the keyboard – they’re all faster than ever before. Even multi-tasking with several apps at once – the new iOS has been improved to support that, going all the way back to iPhone 5s and iPad Air! 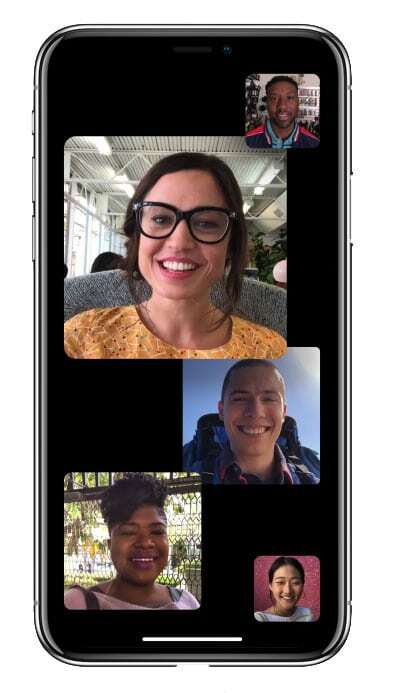 FaceTime now supports video and audio with up to a whopping 32 people at once! I don’t even have that many friends! …no time for sad realisations! The tile of the person speaking will automatically get larger so you don’t lose track of the conversation. The cool feature is the ability to start Group FaceTime right from a group chat in Messages! 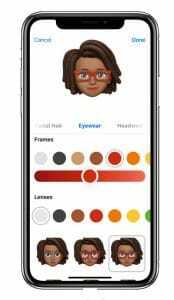 Nothing at all similar to a Nintendo Mii comes Apple’s brand new type of customizable Animoji for the iPhone X. Create a Memoji to match your personality and mood. You can make as many alter egos as you want to use in Messages and FaceTime. ARKit 2 makes it possible for developers to create more immersive augmented reality experiences — even ones that multiple people can experience simultaneously. AR objects can now be sent with Messages and Mail, then viewed in the real world. And a new AR app in iOS called Measure helps you measure real-world objects just by pointing your camera at them. Okay, this feature is supposed to be for parents to give them a better understanding of how much time their kids spend using apps, visiting sites and using their devices overall. But I think EVERYONE is going to use this – even I’m going to use this. I love this feature because it really gives you detailed insight into where and when you’re wasting time. I think this feature could really end up helping a lot of people cut down on phone use by helping them to identify their use triggers and times. I also love that you can set time limits so you physically can’t use certain apps after you’ve spent a set amount of time on them. 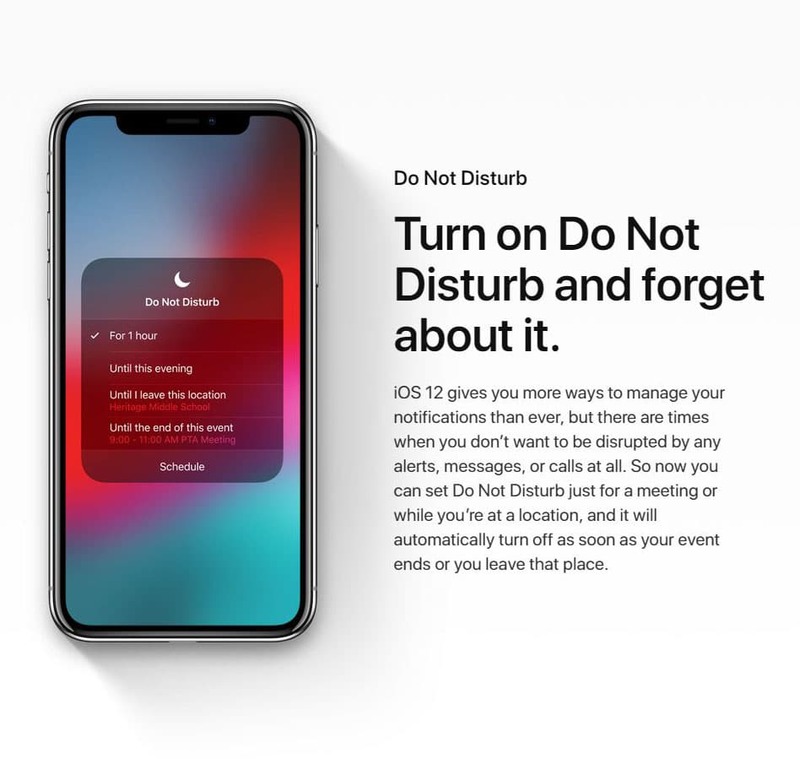 Just as Sceen Time gives you more insight into how you use your devices, notification management in iOS 12 gives you new ways to reduce interruptions throughout your day. 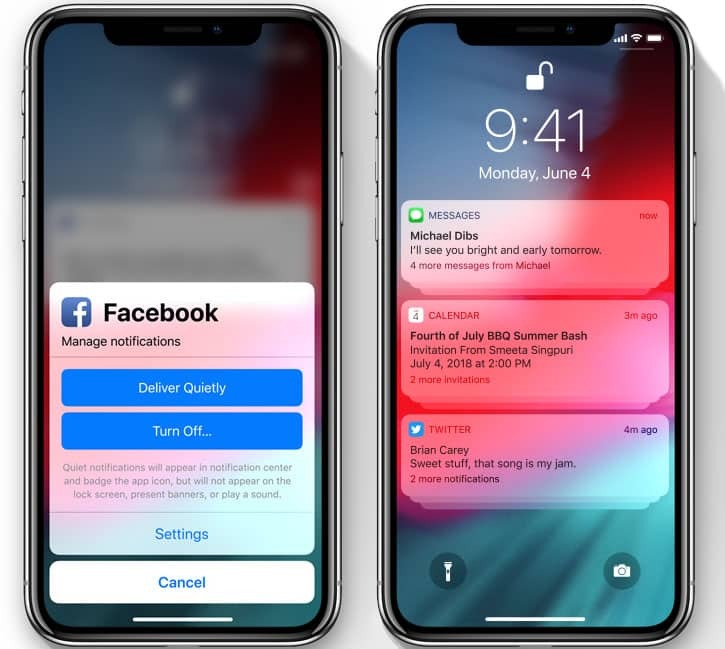 You can now manage your notifications in real time from the Lock screen, sending notifications from a specific app to Notification Center or turning them off altogether. Siri also makes intelligent suggestions about your alerts based on how you interact with them. And message threads and notification topics are grouped together, so it’s easier to see what’s important at a glance. Very helpful and fast turn around! Great service from the eStorm team. Execellent service, the staff member was very helpful. I would highly recommend eStorm Service Centre Toowoomba. People workong here are the best in their field. Got our phone batteries changed here, same day service without a hitch...thanks guys. Great service. I needed an iPhone battery replaced urgently and the team at eStorm had it sorted for me within an hour. Thanks for the quick reliable friendly service, definitely worth it very helpful. I took my MacBook Pro in to get the screen diagnosed and replaced through apple warrenty, it was completed very quickly and estorm did an excellent job. It was so much easier going to estorm over an apple shop, no wait time, plenty of appointment times and no pushing your way through noisy crowds. Will definitely be going back to them for any issues. Thanks! Excellent service and very professional atmosphere. I had a couple of apple devices that needed fixing and to my surprise were covered under warranty and were replaced free of charge! !The team there are an awesome crew very welcoming and very understanding.Look forward to requiring your service again.